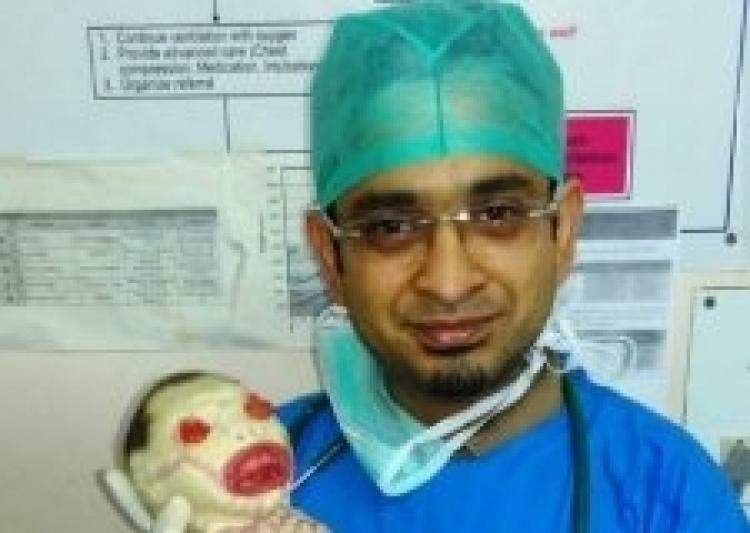 Extremely rare incident happened in the city of oranges.A baby girl was born in Nagpur with ‘Harlequin Ichthyosis’ on Saturday at Lata Mangeshkar Hospital. Extremely rare incident happened in the city of oranges. A baby girl was born in Nagpur with ‘Harlequin Ichthyosis’ on Saturday at Lata Mangeshkar Hospital. This is a rare genetic mutation that causes a baby to be born without any perceivable skin. A baby knocked a door in the farmer’s family is India’s first ‘Harlequin Baby’. The baby has a hardened skin. Her weighed 1.2 kg at birth. She has a hard surface covering her body has cracks. She has no ears and completely blind though she has two bright red bulges in place of eyes, has just two small holes for a nose and inverted eye lid. "Harlequin ichthyosis is a very rare severe genetic skin disease. In such cases, the child's whole body is encased in an 'armour' of thick white plates of skin, separated with deep cracks. In addition, the eyes, ears, private parts and the appendages may be abnormally contracted." “The longest case of survival we know is of baby Shaheen who was born in 1984 in Pakistan. Her last medical records are from 2008. We are sure she survived at least till the age of 24. But normal skin never grows back in this condition,” he added. “Such babies are prone to infection as their internal organs are exposed. We are keeping her skin moist by applying petroleum jelly. For now, we are not sure whether she even has eyeballs,” Yash Banait, paediatrician, told The Indian Express. Such rare incidence can usually detected during the fourth month of pregnancy and through monthly ultrasounds. Reportedly, She dies at the same. The mother has not yet informed the condition of baby.